These full size replica models of the actual competition helmets are great for autographs or display! 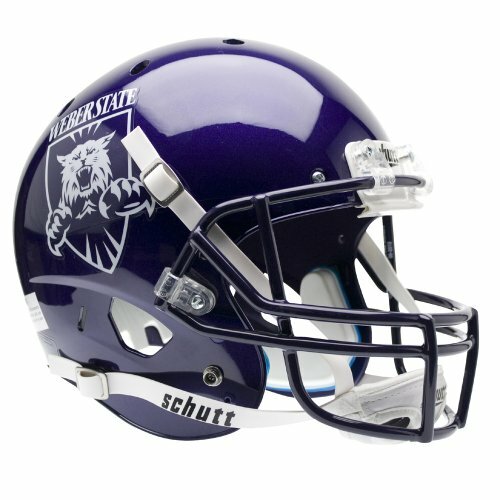 The helmets have a high gloss appearance; official team decals and colors; actual Schutt logos. These authentic size helmets have a real authentic steel faceguard. These are for ornamental use only; and not for play in any sports activity. The inside of the helmet has a plastic insert attached so the helmet cannot be worn. Availability: Usually ships within 3 weeks.